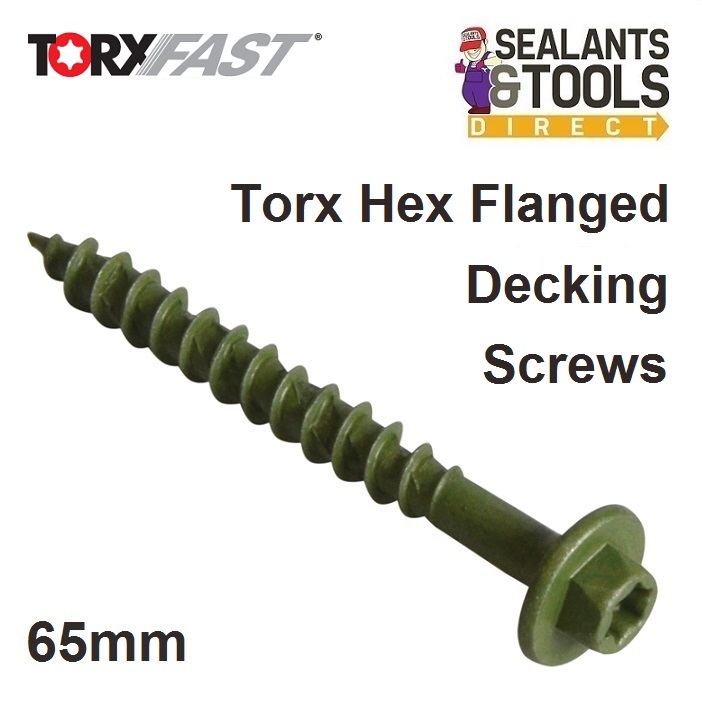 Premium Professional, high-performance decking and timber screws. Green Ruspert coating (salt spray tested to 1000 hours). Screws can be used with the supplied tox bit or 8mm spanner or socket. The Deep torx compatible head ensures reduced cam-out, higher torque levels and a firmer drive with less effort and more acuracy. Super sharp tip gives immediate bite from the very first turn. The Unique single threaded spiral shank drives into most substrates - including hardwood - with ease. Impressive pull out value and less risk of the working loose on decking boards that flex with seasonal changes and day to day use. CE approved for use in load-bearing timber construction EN14592.